Encounter Resources Limited (“Encounter”) is a Western Australian (“WA”) based project generation, exploration and resource development company listed on the Australian Stock Exchange (ASX:ENR). 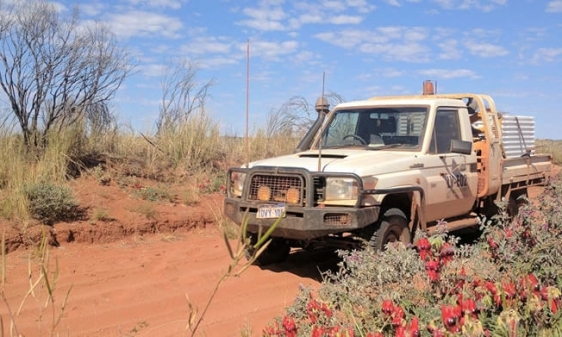 Encounter controls a major ground position in the Paterson Province in WA exploring for gold-copper deposits in the Telfer region and sedimentary copper-cobalt deposits at Yeneena. Encounter shareholders have significant exposure to multiple, well funded, exploration programs via five joint ventures with Newcrest Mining Limited (ASX:NCM) in the Tanami and West Arunta regions of WA, one of the most highly sought-after gold exploration districts in Australia. Encounter also recently acquired the Nazare gold project in the Laverton Tectonic Zone.